Join us in this workshop to learn how 3D Printing can grow your business. 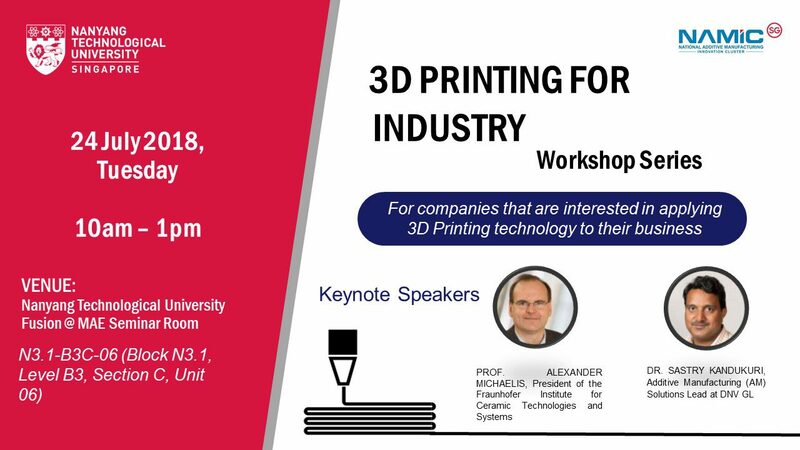 Industry partners will be sharing their success stories and you can hear from experts the application of 3D Printing. Participants will also have the opportunity to network with one another and build bridges with other industry players and NAMIC. Who should attend? Companies that are interested in applying 3D Printing technology to their business.